Cesare Ragazzi Laboratories treatments have been developed under laboratory conditions by some of the world’s leading hair loss experts. 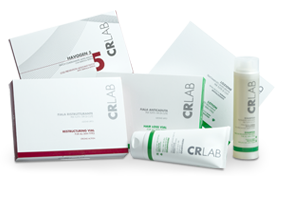 The CRLab® formulative philosophy combine Nature and Science and all its products are parabens and SLES free. We know that losing hair can be a deeply traumatic and isolating experience, damaging confidence, wellbeing and self-esteem. Cesare Ragazzi Laboratories offers proven, non-surgical solutions to hair loss with healthy, permanent results. Contact our experts and discover which autologous hair transplantation technique answers your needs. 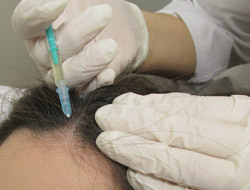 Stimulate the growth of your hair starting from hair the follicle stem cells: the new frontier of regenerative medicine. Some real life stories told by those, women but also men, who wanted to rediscover the serenity and the pleasure of "living with their own hair" thanks to the Cesare Ragazzi Laboratories – CRL Hair Replacement System. 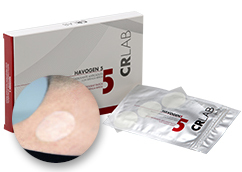 Havogen 5 is a complex patch, which slowly release the active principle through the skin for 12 hours from the application. Would you like to book an initial consultation regarding your hair problems? Do you have specific questions or doubts about your situation? Enter this section and take our test: your request will be answered shortly. ADVIHAIR S.R.L., VAT NÂ° 11495171008, with its offices at Via Benini n. 11 - 40069 Zola Predosa (Bologna, Italy), (hereinafter referred to as the, "Data Controller"), in its capacity as Data Controller, hereby informs you, in accordance with Art. 13 of EU Regulation n. 679/2016 (hereinafter referred to as, "GDPR") that your personal data (provided at the moment of subscription, by means of which business relationships deriving from the existing contract are established) shall be processed in compliance with the methods and for the purposes specified below. In accordance with the provisions of both the GDPR, Italian Legislative Decree n. 196/2003 and any subsequent amendments (hereinafter referred to as the "Privacy Code"), the processing operations carried out by the Data Controller, shall be based on principles of correctness, lawfulness and transparency and they shall be carried with the aim of complying with the principles of relevance, completeness, non-excessiveness while also safeguarding confidentiality.